I purchased this book from Target to read and review. All opinions are my own. 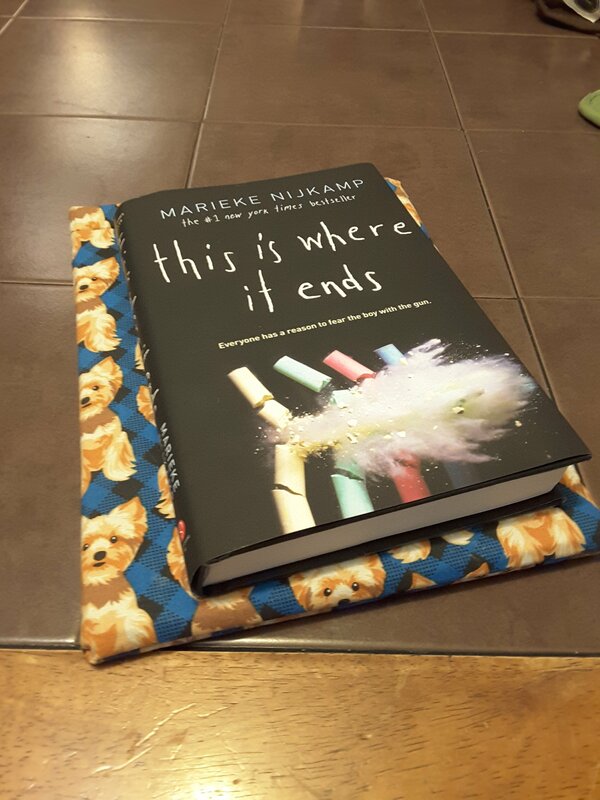 This Is Where It Ends by Marieke Nijkamp 🌟🌟🌟🌟🌟 This book was an emotional roller coaster and I don’t know where to start. The book begins at 10 AM on a Monday after semester break. An auditorium full of students and teachers for the semester pep talk speech from the principal. 5 students and a track coach and 2 more that skipped out are the only ones safe from the boy with the gun. There are several narrators that you will truly become invested in and every character has their view of how things happen and you can’t help but get invested in them. It is a very intense, fast paced read. It will keep you on the edge of your seat. The cover says it best “Everyone has a reason to fear the boy with the gun”. The entire story takes place in just over an hour and at the end the closure the student body celebrates only shows how strong a small town high school can be even in a tragedy. I enjoy fast paced reads so this book was an awesome way for my Month to start! Review also posted on Instagram @jasonnstacie, Goodreads/StacieBoren, Library Thing, Amazon, and Go Read.